Driveways in Wolverhampton that use Cobblecrete’s colour match service gives you the opportunity to have a universal theme right throughout your premises. Our team of specialists have worked on countless designs and can share their years of knowledge and insight with you to make sure you get the best look for your driveway. Here we are going to look at some different colours to consider which will impress guests and neighbours alike. Buff – Sometimes referred to as marigold, sunset or gold. Buff is almost yellow in tone, looks bright and can be great to highlight a feature of your driveway. Charcoal – Give your driveway a contemporary look with a charcoal patterned driveway design. Grey – Grey or natural coloured designs are very popular for private driveways and because they can match the aesthetic of other parts of your home such as wall designs or patios. Red – Red can be used as a main colour for driveways but also as a border that adds a splash of personality to your design and will look very unique. It’s not just about the colour of your driveways, we can provide a wide range of pattern designs that will suit any style of home. We have plenty of experience of installing Belgian block patterns, sometimes referred to as cobblestone pavers, which have been used for driveways for centuries. It’s stain resistant, not affected by the weather and doesn’t crack or split and will give your home added curb appeal. Alternatively, you could go for the Kensington cobble pattern which evokes a timeless style and elegance and will fit perfectly for both modern and period properties. 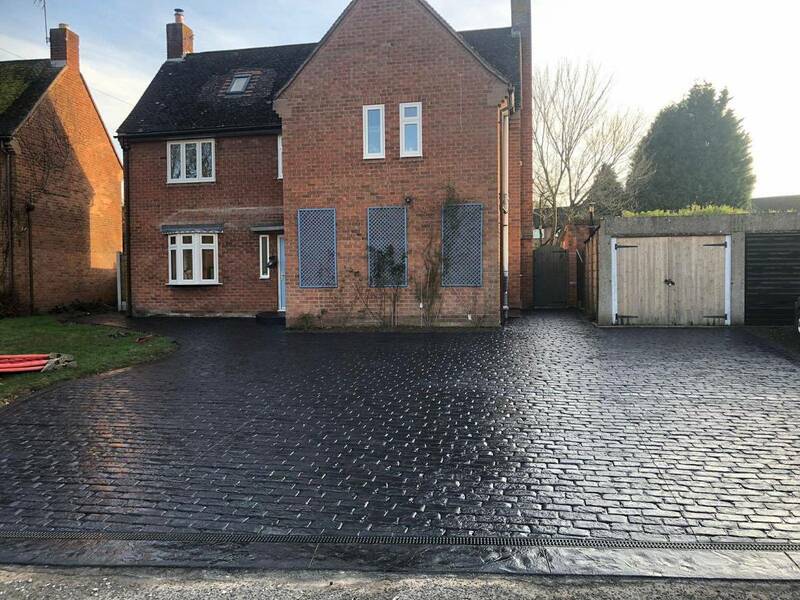 Since 1992 Cobblecrete have been the leading providers of driveways in Wolverhampton and the surrounding areas such as Codsall, Tettenhall and Wightwick. If you’ve got ideas of how you want your new driveway to look, please get in touch today and our expert designers can collaborate with you to create something truly special. Don’t take our word for it though, take a look at our Gallery to see some of the jobs we’ve previously completed.